On a dreary spring morning I received an email invitation to join a promotional tour that promised free food and three days of riding with other moto-journalists—so, without reluctance, my gear was packed and I flew to Kansas. Two things motivated my decision to fly-and-ride: I needed a get-outta-town-free card and wanted to see what Best Western and Harley-Davidson were up to. 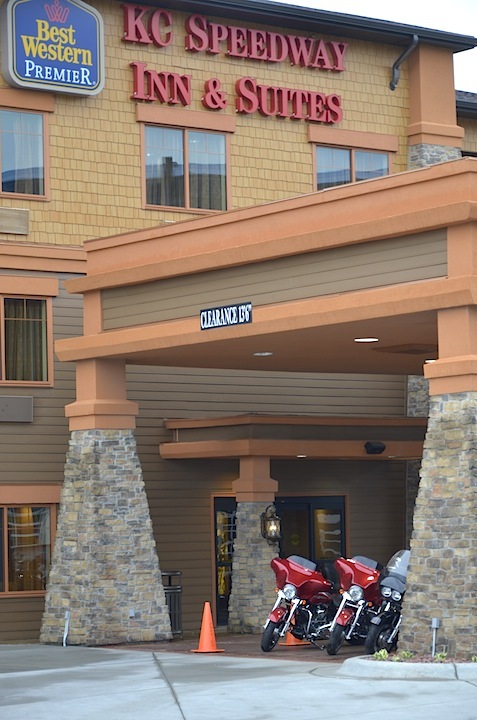 For decades there have been numerous small businesses that have welcomed motorcyclists, but seven years ago, Best Western Hotels and Harley-Davidson created the first corporate partnership that specifically promoted motorcycle tourism. Extremely successful with over 110,000 Harley owners in the Rider Rewards program it came as no surprise that they wanted to announce that this partnership has been extended for another three years. However, Best Western had something else on their agenda. Picking up my bike at Worth’s Harley-Davidson in Kansas City I followed what would become the group’s chase van to the KC Speedway Inn. Outside it looked like a nice Best Western property but inside it definitely was a boutique hotel. The fact that the open, elegant bar was being thoroughly enjoyed by a group of riders merely added to the ambiance. Aparently, not all Best Western hotels are created equal.